Employer brands have become equally important to consumer brands. A consumer brand tells the world why you exist. An employer brand is who are actually are. In our country, entire tribes of CEOs perpetuate an idea that in order to offer low-prices customers are willing to have a mediocre buying experience. There was a time in our history, where they could work. However, technology is evening the playing field. For example, when we can order just about anything without leaving home and have it delivered in hours, why go to the mall and deal with irritated employees? We live next door to a Von’s Pavilions located at the beach. Online critiques of the store include statements such as, “The store’s employees ought to be on suicide watch.” Von’s nationwide has one of the lowest customer service scores amongst all of the largest grocers. Vons is owned by Albertsons. The company posted its first profit in years on February 24. On the other hand, mention Trader Joes and people’s faces light up. The average tenure of a Trader Joe’s cashier. While many CEOs will be dismissive of the comparison, Trader Joe’s prices are even lower than Von’s. And yet, Trader Joe’s isn’t a commodity, it is a carefully orchestrated consumer experience. This is a company that controls costs through tight inventory strategies and portrays a family to its customers. The average tenure of a Trader’s cashier is 18 years. Trader’s doesn’t release its net profit figures. However, the company sells $1,734 per square foot per year while Whole Foods, the runner-up, sells $930 per square foot. Most Trader Joe’s customers smiling and kind staff as well as unique food values to be a winning combination. Bring up United Airlines and what images come to mind? People being tasered and dragged off of planes, dogs dying in the cargo hold, and employees with absolutely no sense of enthusiasm. On the other hand, Southwest Airlines is famous for its culture of low rates, workers with humor, courtesy and playfulness. 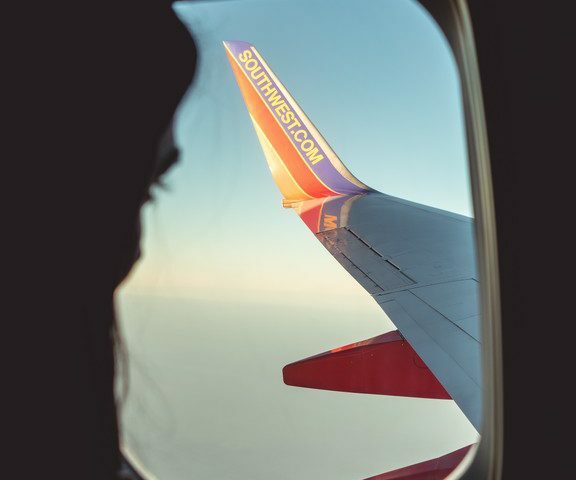 Southwest Airlines is famous for its culture of workers who demonstrate fun, courtesy, and playfulness and now they have added a profound dose to the employee as well as customer experience. Those characteristics had already made Southwest the most loved airline based in America. Commercial pilots hold up Southwest and FedEx as the gold standard for a positive work experience. A couple of years ago, CEO Gary Kelly, decided it was time to create renewed energy in their culture. He introduced a new set of aspirations for all of their employees. He asked everyone to support a vision of being the most loved, flown and profitable airline in the world. Her husband had to get his daughter as quickly as possible. He was on a business trip. In Los Angeles, the crowds were so backed up that he was going to miss the plane. TSA could have cared less. But, a flight attendant from the first leg of his journey had already called ahead to the pilot of the last plane. He ran to the gate expecting to see everyone gone. True employee engagement develops cultures that matter and businesses that we love with fierce loyalty. Because, all of them have heart. But, the greatest heart of all is an employer brand that orchestrates outcomes that are as rich as this story because heart cannot be faked. Sure, consumer brands are good. But, employer brands determine what our businesses become.